A stroll on the white sandy beaches of the island can be a memorable experience, particularly when staying in a vacation home managed by Padre Island Rentals. Now imagine that experience while accompanied by “man’s best friend”. We invite you to checkout all the available South Padre Island pet friendly rentals currently in our inventory. Padre Island Rentals has a somewhat generic policy regarding pets. Small, well-mannered, non-shedding breeds of dogs, with responsible parents, are allowed in some of the fine homes and condos available through Padre Island Rentals. See our complete list of Pet Friendly units. While we at Padre Island Rentals wish we could accommodate all pets, we cannot. Different home owners, condominium owners and associations have varying polices regarding pets, which is why our policy is somewhat generic. As you search Pet Friendly properties be sure to read the more precise policy for that particular unit contained within the property description. The policy will also let you know the associated fees for bringing your dog. Padre Island Rentals continues to work with owners to determine the best ways, and under what conditions pets may be allowed to come with you on vacation. However, most of the homes and condos available through Padre Island Rentals are NOT pet friendly. When making a reservation online please check the box indicating you are bringing a pet. Or if you are on the phone with one of our highly skilled reservation agents (English or Spanish) please let them know. Your Reservation Confirmation document will include a pet fee and is the ONLY indication that a pet has been approved to accompany you on your stay. Simply renting a Pet Friendly unit does not mean you can automatically bring a pet. 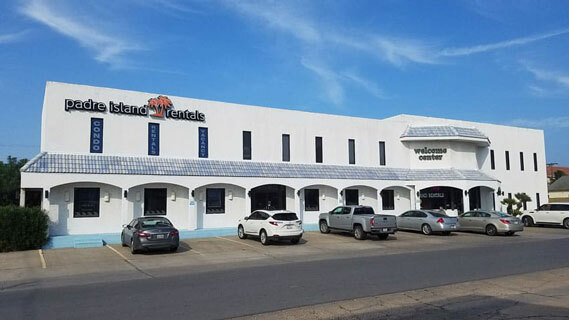 It is important to know that Padre Island Rentals does not accept, in any unit at any time, cats, miniature horses, reptiles or other animals that may be considered pets. Guests who have not received approval to have pets in either pet friendly or non-pet friendly units will be subject to eviction and/or forfeiture of their Damage Deposit. Most service animals meet the criteria above and are welcomed. Padre Island Rentals wants to make your vacation a memorable experience. Having a “best friend” along can make it that much better. Reserve your Pet Friendly short term vacation rental home or condo now!